Dimensions 38, 52 & 82 FULL THREAD & 53, 63 & 83 4 & 6 START THREADING LUG TYPE. We are offering a wide range of Tissue Culture Caps. We are the PIONEERS who have introduced Transparent & Autoclavable Caps in INDIA in the year 2005-06. All others followed suite only after 3 years of its introduction by us. Even now we are the only one to use top grade PP material H200MK for this Application in INDIA. This material has to be stored when made which is probably only once in a year. These are manufactured & sold not only in INDIA but are exported to many countries. Repeated order is a testimony to acceptance of our quality. We are proficient in designing these Tissue Culture Container Caps in a wide variety and shapes that can meet all the requirements of our clients. Our products are widely used in tissue culture labs who are conscious of Quality as prime requisite. VENTED Caps are the best so far designed by us. The vents lasts till the life of Caps & can be vigorously brushed as the shroud protecting the Vents are not removed by the pressure of the cleaning brush & the vents only gets cleaned at the surface without being removed from the shroud. Since 3 years we are supplying to a Customer 83 MM caps without vents but breathing caps which is again a testimony to our R & D abilities. Sturdy design & lasts longer. 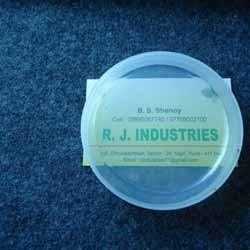 We are leading manufacturers and traders of a wide assortment of Autoclavable Transparent PP Caps. Made up of Glass and Polycarbonate both accordance with the clients requirements. 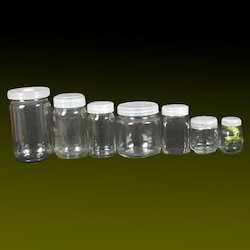 These Transparent Tissue Culture Container Caps are mainly design with following features. Looking for Tissue Culture Container Caps ?